Vote for the guitar of your choice, but be sure to vote. 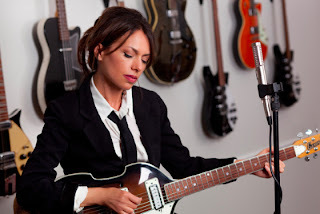 Photo from Susanna Hoffs website. Writer Dave Hoekstra had a piece in yesterday’s Chicago Sun-Times about the Graphic Noise: Gig Posters From The Chicago Printers Guild exhibit being held from now through November 25th at The Lillstreet Gallery. Of the over 200 posters on display, most are for indie rock artists. Some of them are for sale, ranging in price from $20 -$30. The Lillstreet Gallery is located at 4401 N. Ravenswood. Bruce Springsteen was one of the headliners when NBC presented a concert tonight to benefit the American Red Cross in its efforts to aid victims of Hurricane Sandy. Kicking off at 8:00 PM EST at the network’s facilities in Rockefeller Center, the event also included Jon Bon Jovi, Sting, Billy Joel, Christine Aguillera, and Jimmy Fallon. Seeing the New York/New Jersey artists involved in this effort sort of echoes a sentiment expressed by James Moeller yesterday on his eclectic and frequently political jimmydumps/sunnyjimmy blog. “You just know that New Yorkers will make it happen,” Moeller wrote, I’m assuming before the benefit had been announced. “They will pull themselves out of the jaws of disaster. They will recover.” Here’s betting he’s right. Speaking of benefits, radio personalities Lin Brehmer and Marty Lennartz will host WXRT’s 24th Annual Rock For Kids Rock & Roll Auction at Park West in Chicago on November 16tth. Even for those of us who can’t afford to bid on the more spectacular items being offered can still get a kick from checking them out. Tickets are $50 through November 11th, and $75 after that. Proceeds go toward helping Rock For Kids provide music lessons for students in Chicago Public Schools. On November 10th, Park West will be the site of Newsapalooza 3, a gathering of some of Chicago’s best known media personalities moonlighting as musical performers. Originally conceived by WLS radio personality Roe Conn and musician Richard Marx, the event will benefit Clearbrook, a charitable organization that helps adults and children with developmental disabilities. Liverpool Legends have spent a lot of effort crafting their tribute shows to The Beatles, and it’s no surprise their original music reflects that. They’ve put their Beatles influences to good use, as evidenced by the colorful and splendid video for the song, “It Is What It Isn’t.” Bravo, lads! The Viaducts will be performing garage rock songs from their Mission To Destroy CD at Phyllis’s Musical Inn tomorrow night, starting at 9:00 PM. The Jokes4Miles campaign participated in the Walgreens/WGN Radio Happy And Healthy event at Pioneer Court in downtown Chicago today. This unique charity was created by stand-up comedian Len Austrevich, whose son Miles is battling a rare form of brain cancer. The older Austrevich has launched a global campaign to get 5,000 people to videotape themselves telling jokes to his son. Bill Murray, Tina Fey, and Amy Poehler are among the celebrities who have taken part. 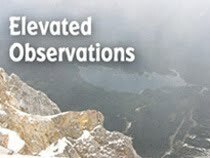 Watching the videos gives Miles Austrevich a tremendous boost when he watches them while going through treatments that can be monotonous and painful. People interested in cheering up this courageous young man can upload jokes to the recently revamped Jokes4Miles website or keep an eye out for the next event in town. It’s been a while since New Duncan Imperials have unleashed their comic mayhem on a live audience, but they’ll be at Gabe’s in Iowa City on Friday, November 23rd. Seems early to be hearing terms like Black Wednesday and Black Friday, but Beatles tribute band American English will be at The Abbey Pub on the night before Thanksgiving. The Handcuffs have upcoming gigs at Kryptonite on November 3rd, and at Double Door on November 9th. They’ll also be up in Michigan for dates in Detroit and Kalamazoo. A special thanks to Heart for featuring my Broken Hearted Toy review of Ann and Nancy Wilson’s book, Kicking And Dreaming on their official website. Subterranean has a four band line-up scheduled for November 25th that includes JIP (who have a brand new CD coming out), Magatha Trysty (also with new material), Top Shelf Lickers and Burrows .